The following discourse was given by Sr. Foliot during the 25th anniversary celebrations of Montreal Directed Retreats at the house of the Holy Names sisters in St. Sauveur, Quebec. The text is presented unedited to preserve the freshness of her verbal presentation. We hope that it will give you a taste for the spirit that animated the retreat ministry whose heritage we bear. Back row l to r: Paul Empsall, Fr. Stanley Haskell, Mary Ellen Holland, Sr. Joan Foliot CND, Fr. 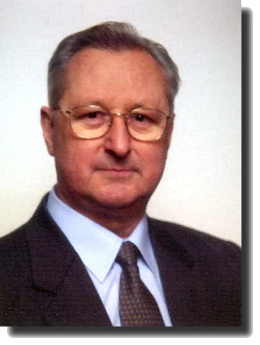 John Wickham SJ (deceased), John Carey, Fr. Ernest Sherstone OMV. REJOICE AND BE GLAD... These are the two words that best describe for me what our celebration today is all about. REJOICE... yes. Rejoice in all that God has done for so many people during these last twenty five years through the Montreal Directed Retreats and BE GLAD. - Yes. Be Glad... as you consider all that the people involved in this retreat movement have, through God's grace and help, done to help so many people deepen their prayer life. It is a great joy for me to be here today; to celebrate with you, to give thanks to God for the many ways that He has called us to sow the seed... and above all to see how so many of you, having experienced God through these retreats, have responded by carrying on this beautiful ministry to God's People. I have to admit that I was delighted when Frances ( Babs ) called me and invited me to Walk down Memory Lane with you. Being one of the original, founding members of this group, and having invested much time and energy with the group, (about 20 years), I delighted in recalling our humble beginnings and I can only marvel at how God continues to work in His people. Some sow, others reap. We were called to sow those first seeds; you have continued this beautiful ministry. But you want to know the HOW, the WHY, the WHERE, the WHEN, of your group. Come with me down Memory Lane. We will go back to Vatican II, in the mid-sixties. The doors of the Church were opened wide. People everywhere were finding a new interest in Prayer, in service to a church where they knew they had an active role to play. Scripture was once again coming alive. People now had their own Bibles, (before then, people rarely read the Bible), groups for shared prayer were springing up everywhere. There was a growing desire for God, for the word of God, for a deeper relationship with God. There was a call from Vatican II to all religious communities to return to their Roots and to adapt their lives and their ministries to the Signs of the Times. The Jesuits all over the world turned to Ignatius and his charism and above to all the great gift of the Spiritual Exercises which he left them and the Church. They looked deeply at the Exercises, and studied them and shall I say revived them and opened them up to Non-Jesuits . Their great desire was to make them more available to others. By the late 60's and early 70's the 30-day personally directed retreats were being offered in large numbers across Canada and the U.S. But not everyone had the privilege and the luxury of making such a retreat, and so, or perhaps at the same time, the Jesuits went back to the Spiritual Exercises and saw that Ignatius had desired, had intended that these Exercises be given in the ordinary Daily Life , la vie courante , to all people who desired them. And so they began. Among the leaders in this work at this time was a French-speaking Jesuit, Gilles Cusson, who was living in Montreal at the time. Father Cusson wrote extensively on the Spiritual Exercises in Daily Life, which we came to refer to as The 19th Annotation. At the same time, there was a group of Jesuits in Guelph, John English, John Veltrie, John Haley, et al., who began working seriously on discovering the best ways to present these Exercises in the post Vatican Church. mentor of the original group. In Montreal, by 1973, there were some priests and sisters, who having made the 30-day personally directed retreat themselves, were experiencing a call to take steps to introduce this type of retreat to others, but especially to the lay people in the parishes. In this first group were the following people, Claire O'Neill CND, Nancy Tallmire CND, Eileen Clarkin CND, Eric Jensen SJ, Dave Ely SJ, and Joe Cameron. In October 1973, this group of six met at Marianopolis College with Gilles Cusson SJ, who encouraged them to begin. He agreed to be their mentor. A month later, November 1973, they reserved a few rooms at St. Jerome Retreat House, and invited a few people whom they knew well to make a personally directed weekend retreat. With a game plan prepared for them by Father Cusson, they held their first weekend retreat. For most of the retreatants this was their first experience with praying with scripture and being invited to share with a director what they believed God was saying to them in their prayer time. All concluded that it had been a very good retreat and that similar weekends should be offered. Not only did the group believe that there was a need for, and a desire to repeat such weekends, but they felt a need for support in this new ministry. They agreed to come together once a month. I, (Joan Foliot) joined the group in December of that year and others like Frances Gallagher, SNJM, and Elizabeth Power RSJC, followed shortly after. And that was the beginning. Bob Chase, SJ came in 1976, John Wickham in 1977, and a number of Diocesan priests including, Walter Lallemant, Bob Harris, (Bishop) Toni Mancini also became active members. By this time nearly every Religious community in the Montreal area had at least one member on the team. It was only in 1979 that the first lay people joined the group. These were women who had made a number of weekend retreats and some had made the Spiritual Exercises, and they felt a call to be part of the group. Among the first lay directors were the following: Rita Ghey, Joan Gagne, Elise Lipscombe, and Marge Sharman. That was the beginning. Since then, as you all know, many lay people have taken their training at the Ignatian Centre and have joined the ranks of the Montreal Directed Retreat Team. The group met regularly every month. For about ten years the meeting place rotated. Each member hosted the meeting although we often found ourselves at St Willibrord's Rectory, which had, and may still have the reputation of being the coldest rectory in the city. If ever a member mentioned the cold, Joe Cameron always reminded us that the cold was a test of endurance. Anyone who could endure the cold, could consider this as the pre-requisite for belonging to the team. In the early 80's it was agreed that the meetings would be held at the Ignatian center and after some time the SNJM's opened their doors in their Patricia Avenue house to the group. In the beginning our monthly meetings lasted about three hours, beginning at four o'clock and ending around 7:00 or 7:30. Whoever hosted the meeting provided us with some nourishment. We began the meetings with prayer, usually praying with a specific Gospel passage. This prayer and sharing lasted about 45 minutes. Then there was the input... real solid input, in which we discussed an article by Father Cusson or some other writer on the Exercises. We always had the article a month in advance, so we came to the meetings well prepared to discuss, share, listen etc. There were occasions when we invited guests to speak to us, e.g. John Main to talk to us about Meditation, some members of the charismatic group to share with us their ways of praying, etc. It was important for all the members of the team to be prepared to meet retreatants who prayed in ways other than with scripture. Although some of the group had received formal training in the Ignatian Exercises, most of us at this time learned from one another. And all our supervision was on a one-to-one with someone in the group. Some members did have the opportunity to attend workshops, mini-courses at Guelph, St. Paul's, Minn., etc. The formal training given at the Ignatian Centre was only introduced at a later time and so much of our formation was received through our own reading and from one another. From the very beginning the group felt a need to come together for a longer time and so each year we would plan a Weekend of prayer for the group. This was sacred time for the group and all looked forward to coming together in May or June. These weekends were always away from the city. Some of the places were, an Anglican Retreat Center in the Gatineau Hills, St. Jean Vianney center, (east end of the city), Waterloo QC, St. Jerome, Rougemont. After some time the weekend was reduced to a day and eventually these days were discontinued. Until 1980, all our communications and publicity were done by word of mouth and through the parish bulletins. It was only in 1980 that we prepared our first FLYER promoting our retreats and giving the dates of upcoming retreats. By 1981 we had our first mailing list of all those who had made one of the Weekend retreats. All communications and reservations for the retreats were handled at St. Willibrord's Rectory. Joe Cameron had initiated the secretary, Cathy Desautels, and she was a great promoter of our retreats. In 1979 Eileen Clarkin CND, who lived in the parish at the time worked closely with Cathy and she coordinated all the retreats. When she left for Ottawa in 1981 Joan Foliot CND replaced her and like her predecessor, was able to use her place of work, Notre Dame Secretarial College, better known as the Mother House, to co-ordinate all the organization and diffusion of information concerning the retreats. With 1987 the co-ordination passed on to different members of the group, to Brenda Halton, SC., and then to different members of the group. And it continues to be done this way at this time. The first retreat weekend was held at St. Jerome and for some time, most of our retreats were held there. But St. Jerome was not always available and other Retreat Houses had to be found. The group found themselves at various retreat centers wherever they could be accommodated. The Franciscan Monastery in Chateauguay, The Grey Nuns in Chateauguay, The Montfort Fathers in Montreal East, St. Jean Vianney Center, Montreal East, Marie Reparatrice Convent, Rougemont, and since 1981 Villa Marguerite in Pierrefonds. After the renovations in Rougemont in 1981-1982 it was decided to alternate the retreat weekends at Villa Marguerite and Rougemont. There was a time in the early 80's where we offered ten retreat weekends each year, one every month, but then the number was reduced to six. The first 6-day personally directed retreat was offered at Rougemont in 1981 and these longer summer retreats continued for a number of years, but were discontinued when the numbers did not warrant them. I said our beginnings were very humble. They were. At first we had absolutely no means of financing any of our retreats. It was only in the early 8O'S that we asked for and received a grant from the Pillars Trust Fund to help us. Prior to that time, every member of the group was asked to donate $2.00 at each meeting to build up a little kitty. (At the end of the meeting each one threw his/her $2.00 into the center of the floor. No toonies at that time, and if you missed a meeting you were expected to bring $4.00 the next time.) Because we had no finances, each director had to pay his/her own room and board each time he/she was on the team. Some of the retreat centers did not always charge the retreat directors. But once we began receiving the grant from Pillars this all changed. 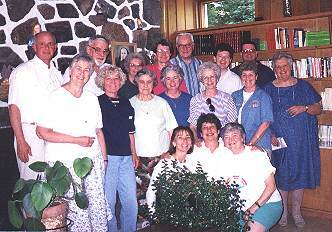 The Montreal Directed Retreat Group functioned for many years without any official name. But in an attempt to distinguish themselves from other retreat groups that were functioning, it was eventually decided to be called the MONTREAL DIRECTED RETREATS, MDR for short. MDR did join forces with a retreat group in Ottawa and one in Pembroke and together they formed another group called MORA, (Montreal Ottawa Retreat Association), a group which met once or twice a year for support and to share information and resources. This group has ceased to function. And that is the history of the MDR. In taking you down Memory Lane I have focussed on the origins and the growth of this little group of people who responded to the call to bring people to a greater knowledge and experience of a loving God through personally directed retreats. It gives me great joy to see that you are continuing to respond to this call. I did not mention any of the Spiritual experiences that were witnessed curing these retreats. These are often too sacred to share. Nor did I include any of the humorous experiences that were part of some of the retreats. And like all things that are real some of the more difficult and even painful experiences that were ours. All of these are part of growth. I can only say that God must have been saying to us twenty-five years ago something like this, see, I am doing something new . We never could have imagined where it would lead. And for our part, we prayed and believed that if this is from God it will last. And it has. And so, I say again REJOICE AND BE GLAD.